Need to track and assess your student’s skills and keep student portfolios in an easy and manageable way in your preschool, pre-k, or kindergarten classroom? This is it! Everything you need is in this pack (it’s over 500 pages and includes TONS of EDITABLE pieces)! Just print, assess, track on their individual page, and file! Portfolio & Assessments BUNDLE is now a over 500 pages! You can also purchase the parts separately….JUST the Assessments or JUST the Portfolio. First I’m going to share with you what is is the ASSESSMENT pack! It’s a HUGE pack and I’m here to show you exactly what’s inside. So there are also a TON of student pages too! Check out the photos on the right (options 3 & 4). They are just some of the math student recording pages. AND I give you teacher pages with tons of ideas and different ways you use each type of assessment with real photos! These are some of the teacher pages for the math assessment section! Observation forms and rubrics…yep they’re in there too! I tried to include a variety of different types of assessments so there is one included that works for every teacher. SOCIAL EMOTIONAL, GROSS MOTOR, & FINE MOTOR rubrics have been added! You all have been asking for it so I added it. Alright…let’s talk about the DATA! You either LOVE it or HATE it. I personally LOVE it now that it’s all organized, in one place, and easy to use. Data is so important! You should be using your data to guide your instruction. What skills so students need more practice with? What are skills they struggling with? What can they do independently or what skills have they mastered? Teach the students what they NEED not what you always do every year at this time. It also makes creating ability based groups super easy. 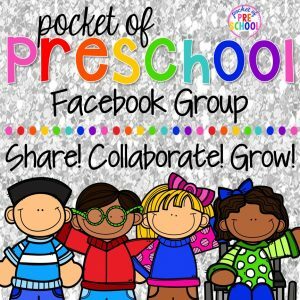 You can see your entire class on one page! What each teacher wants or has to assess is different. Your school or state may require you to assess certain skills or you personally may want to assess certain skills. Every teacher and school are DIFFERENT so (drumroll please) there are FIVE (yes five) different individual skills pages with matching progress reports! Don’t see one that is exactly what you need? No worries…there are EDITABLE skills and progress reports pages too! You can slide each skill on or off the page to create your skills page exactly how you want it! Amazing right! Shhh…ink codes are my JAM! It’s my secret trick I have been using for over 11 years. Now I just LOVE these monthly self-portrait pages so they are in BOTH the Assessment pack and the Portfolio pack! Now let’s talk about the Student Portfolio pack! 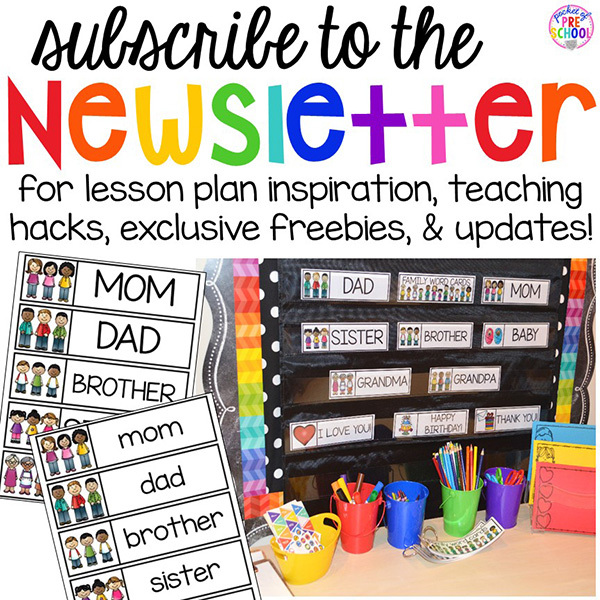 There are dividers, covers, observation pages, fun events pages (and all of them are EDITABLE)! Portfolios are a great tool to use at parent teacher conferences. You can show the families where the student began, where they are now, and where they are going. It is also a fabulous keepsake to send home at the end of the year to show how much the student has grown! My families LOVE them! NO more printing a general observation page, writing down all the stuff (skill, activity, date, ect. ), printing the picture, and finally cutting out the picture and gluing it to the page. Just type insert the picture and print! It’s so much simpler! This alone will SAVE you so much time! Now, do you WANT it ALL? EVERYTHING in the Portfolio pack and EVERYTHING in the Assessment pack is in the Assessment & Portfolio Bundle! Trust me when I say I have spent months creating, updating, and researching this product. I have been using this in my classroom for over 8 years making adjustments and updates based on how it works in my classroom, current research, and your feedback. Just BUY IT so you have more time with your students, for yourself, and with your family! I have done all the work for you! Want Just the Assessments or Just the Portfolio? Grab it by clicking on the photo below. 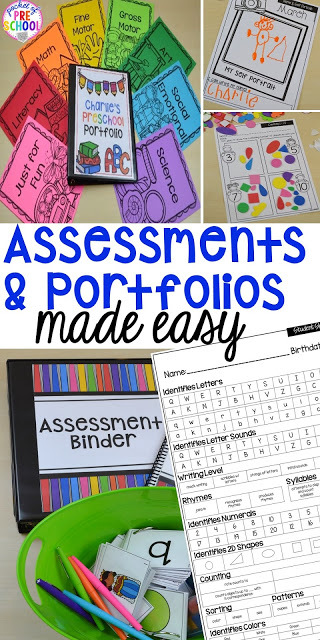 Want to know MORE about how to organize all the stuff in Portfolio & Assessments Made EASY click HERE to see it in action in some blog posts I have written all about it!